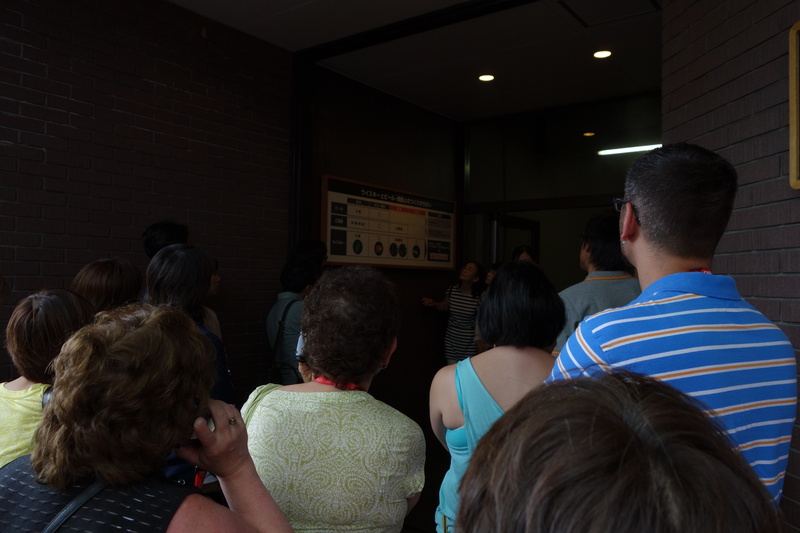 a memory bank of good food, ingredients, and history. 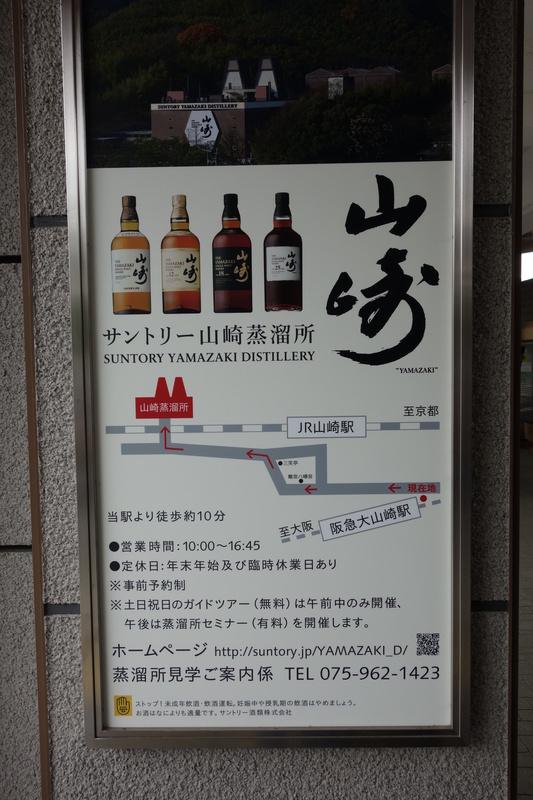 During my 10 day trip to Japan, I had travel from Kyoto to Osaka (a ~1 hour journey, close enough that Kyoto is served by Osaka’s 2 airports), and decided to take a daytrip to Yamazaki. 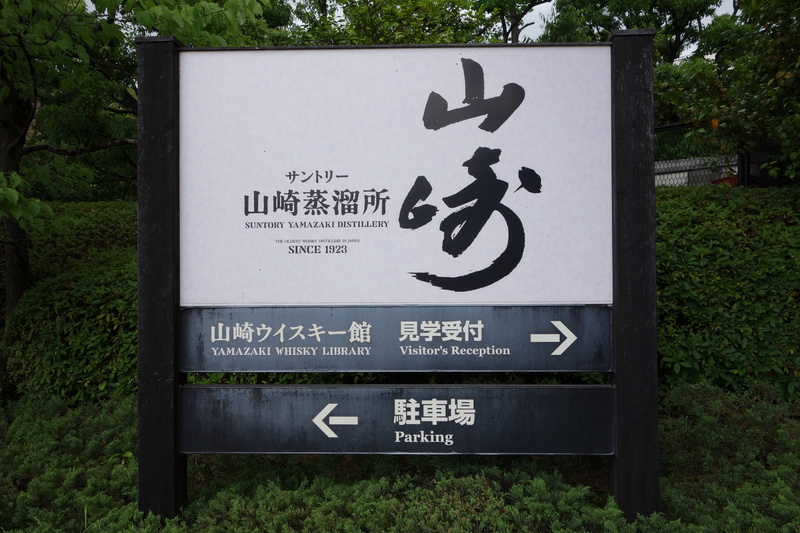 Anyone who knows my tastes in alcohol knows that I hold the Hibiki blended whisky, produced right here in the Yamazaki distillery, in very high regard. The 12 year old “standard expression” is a drinkable floral blend, recipient of multiple awards from the whisky industry, and the 21 year old premium expression is even more delicate. 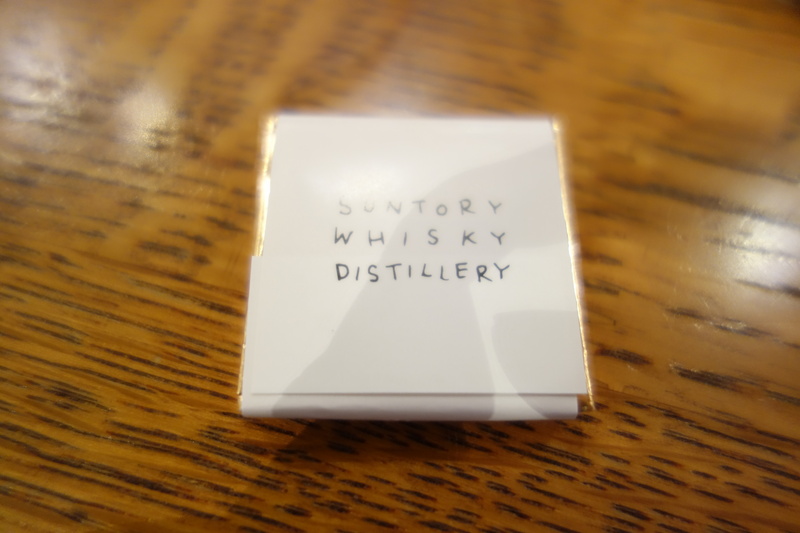 It being impossible to taste the top-of-the-range 30 year old blend anywhere else, I decided to hoof it to Suntory’s distillery. 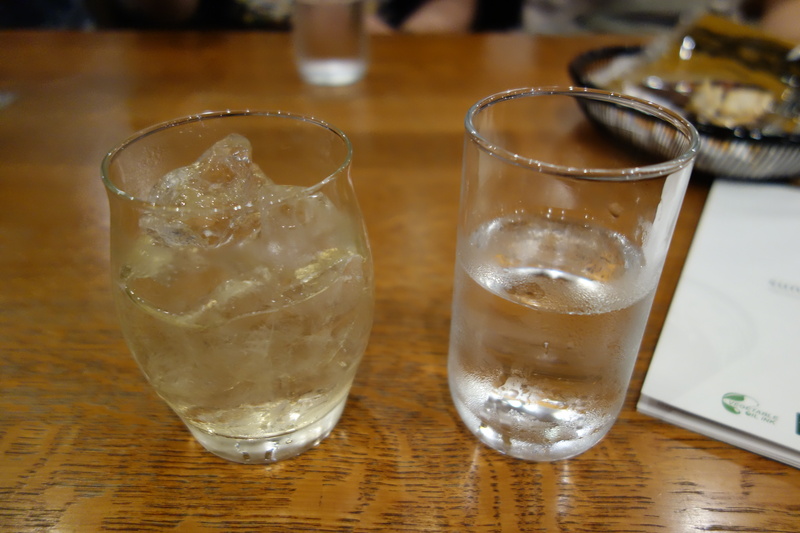 The Hibiki is a blended mix of the Yamazaki and Hakushu whiskies, both of which are wholly owned by Suntory. 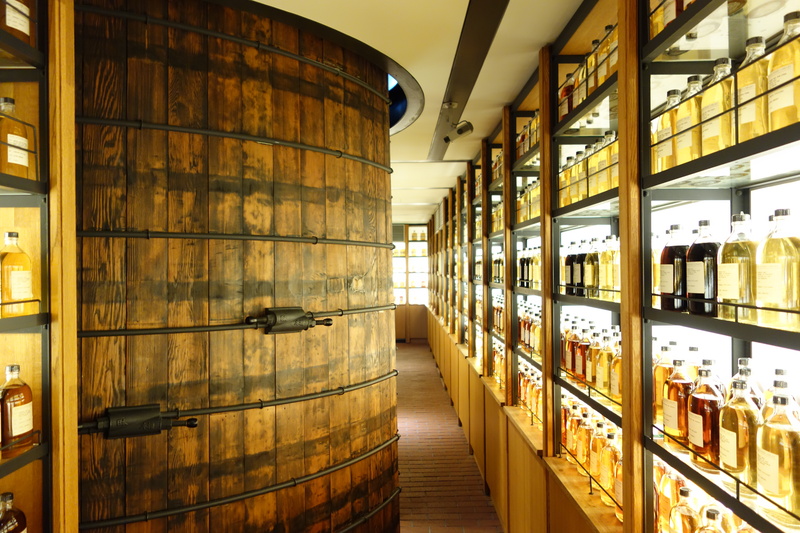 Now, the Japanese blended whisky industry differs quite substantially from the Scottish blended whisky industry. In Scotland, most distilleries are owned by the conglomerates – e.g. Diageo (owner of the Johnny Walker brand), and Pernod Ricard, among others. They are quite laissez-faire about inter-conglomerate trading. 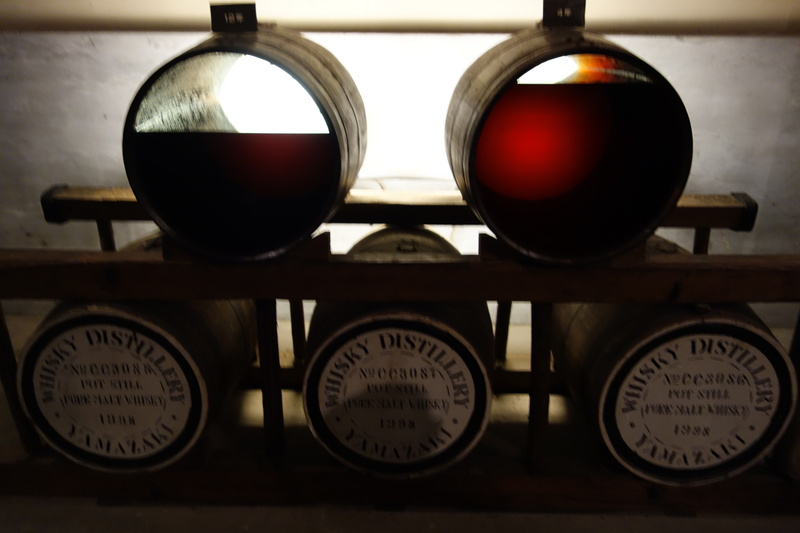 Often, if a master blender in the Diageo stable believes that a Pernod Ricard (PR) owned distillery produces a good set of casks to maintain the Johnny Walker taste for this year, they can buy the casks from PR. This is emphatically not the case in Japan, where whisky conglomerate lines indicate no-man’s lands of commercial trading. 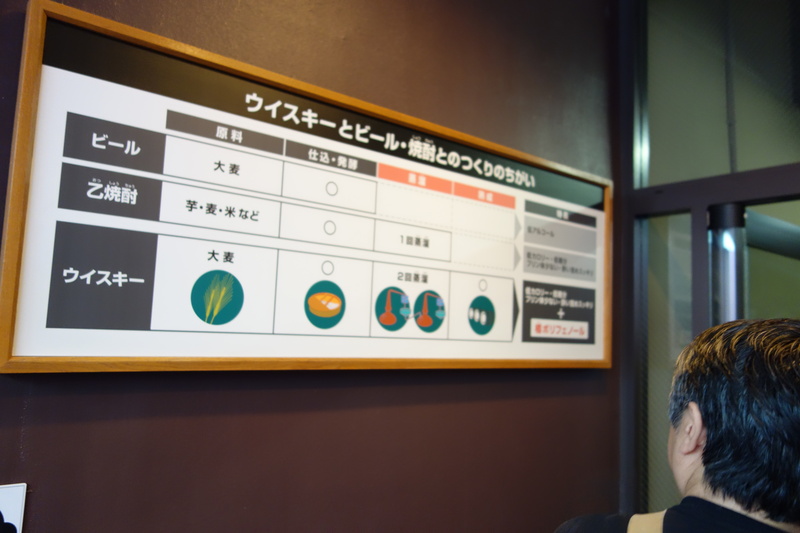 What this means is that much of the variation required to blend an interesting whisky must be produced in house in a Suntory distillery. 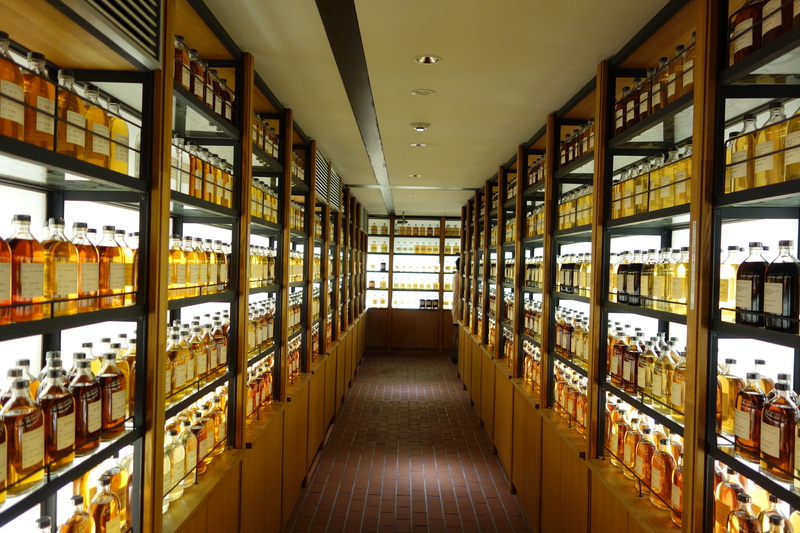 Japanese whiskies are made exactly the same way as Scottish single malt is made. The only difference is that one is not legally able to call these whiskies “scotch” (that label is reserved for 100% made in Scotland whisky). This is not a coincidence. 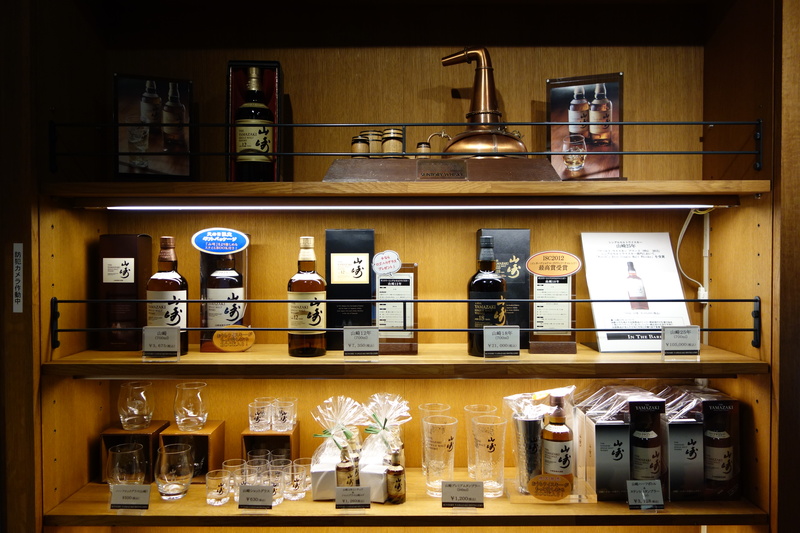 Japanese whisky started as conscientious imitators of Scottish whisky. 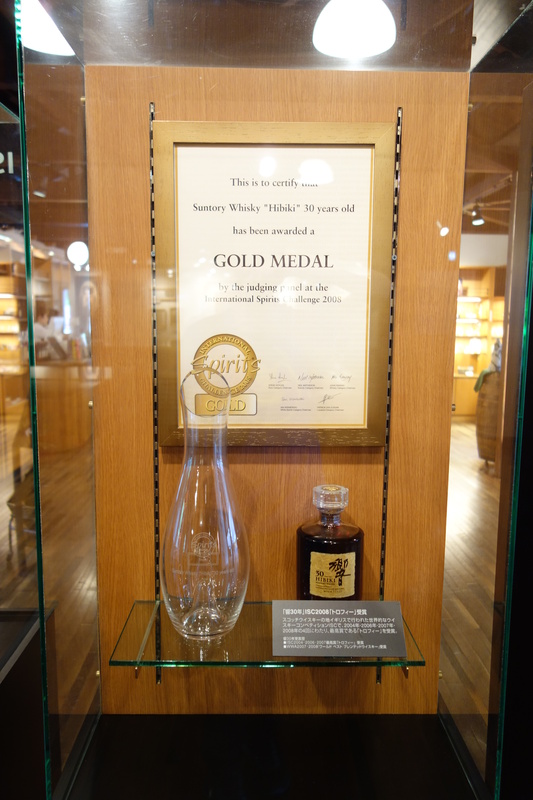 A brief history of Suntory: In 1923, Shinjiro Torii, the founder of Suntory and the father of Japanese whisky, built Japan’s first malt whisky distillery in the Vale of Yamazaki. 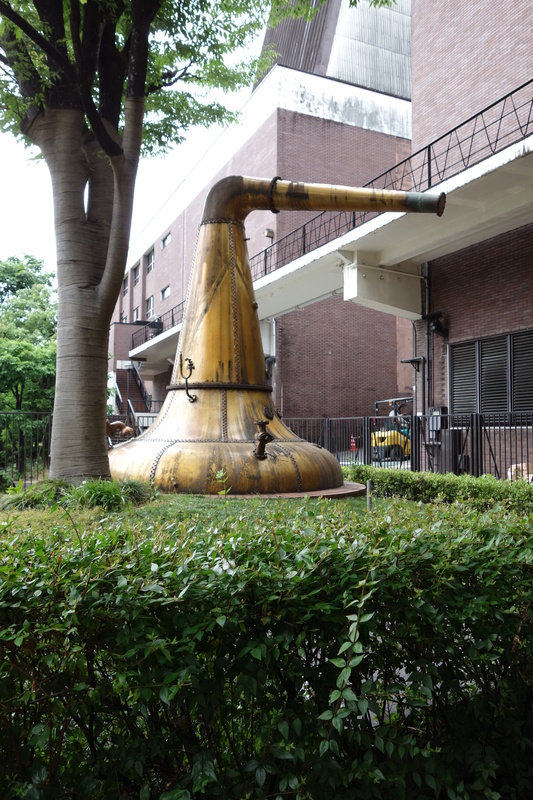 The distillery’s location on the outskirts of Japan’s ancient capital of Kyoto offered pure waters, diversity of climate and high humidity—the ideal environment for the maturation of good whisky. Tips. 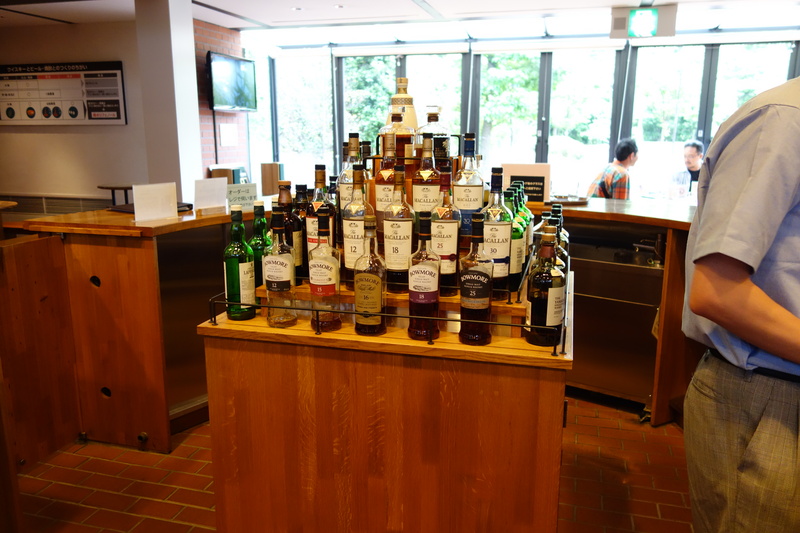 Don’t actually buy the standard to premium whiskies here: It can be found for much cheaper (40% cheaper) when you fly out of Tokyo/Osaka, due to high domestic taxes I believe. 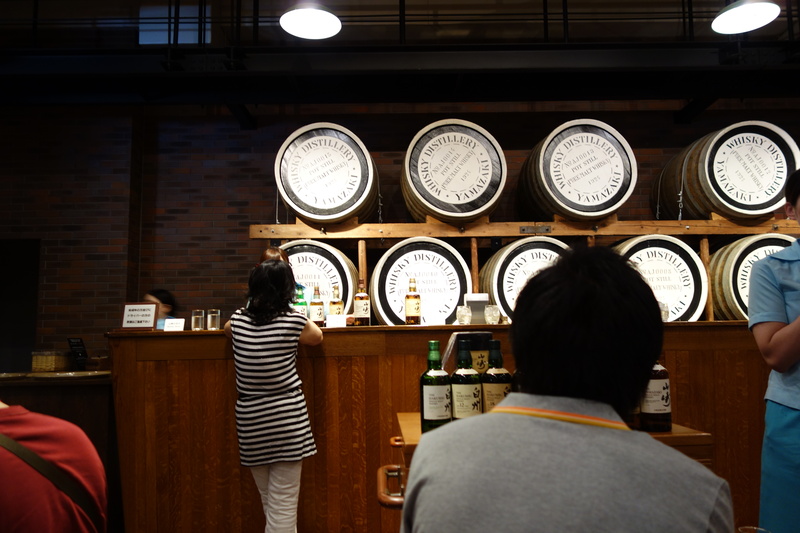 The only whiskies you want to buy at the distillery are the limited edition ones, like the Yamazaki 25 (very expensive) or the Hibiki 30 (individually labelled bottles, each costing USD1000). Mash tun for fermenting germinated barley. 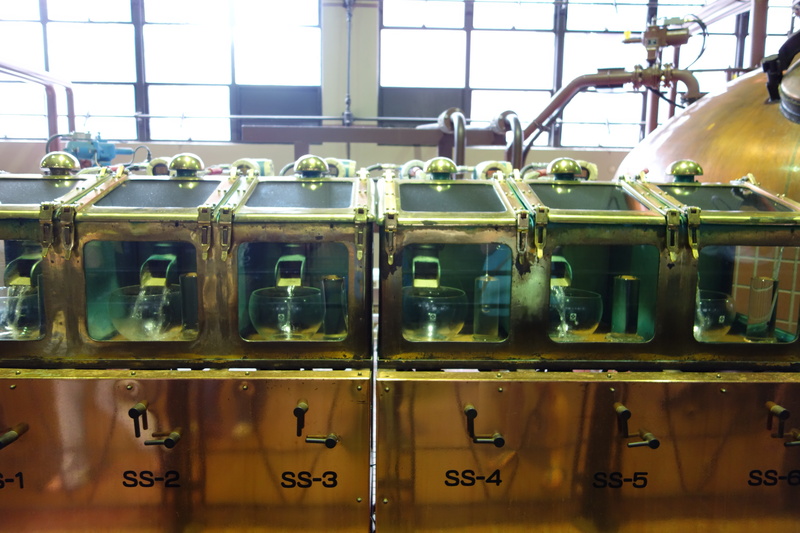 The stills: For reflux. 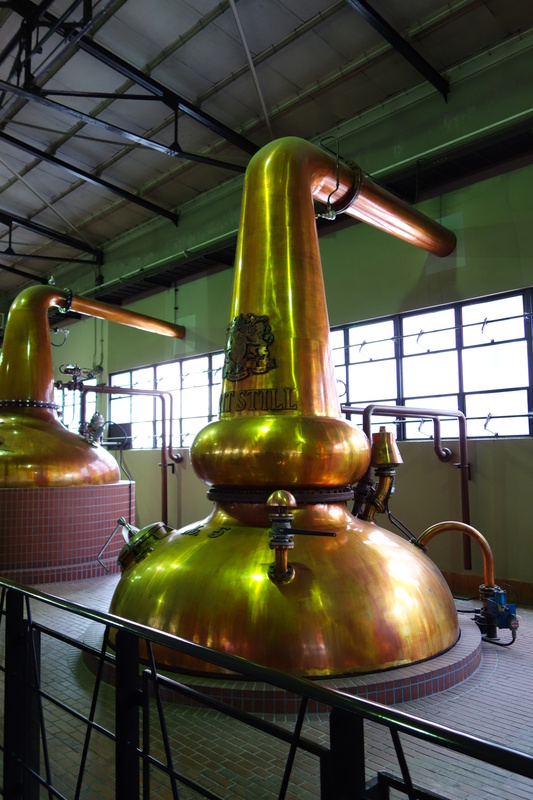 It is often claimed the shape of the stills affects the taste of the whisky. I am skeptical. 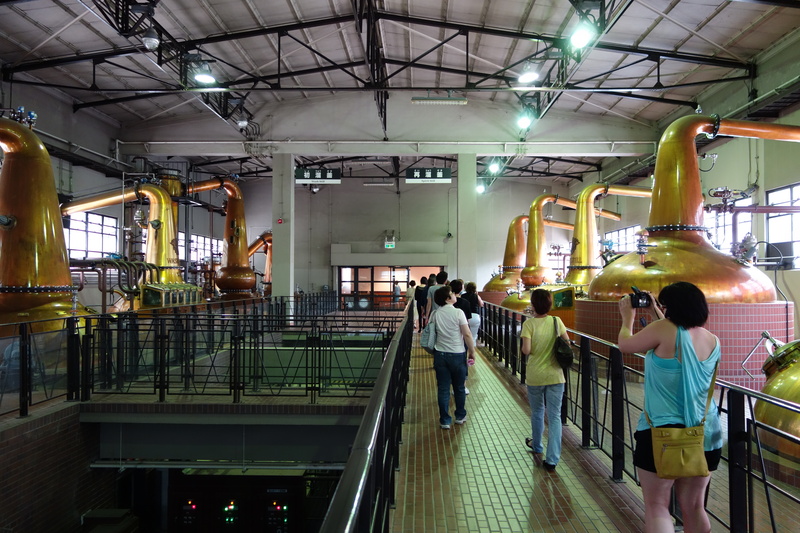 The run-off, where the distillery master tastes the alcohol. Traditionally (Scottish tradition) kept under lock-and-key, who historically wanted to prevent unauthorised drinking by their employees. 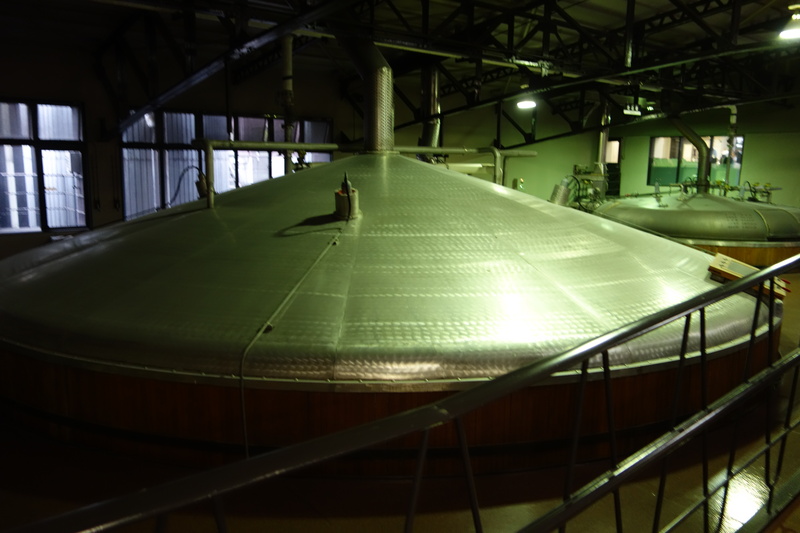 The purest part of the run-off is the middle third of a distillation cycle, the first third and end third are usually re-refluxed. 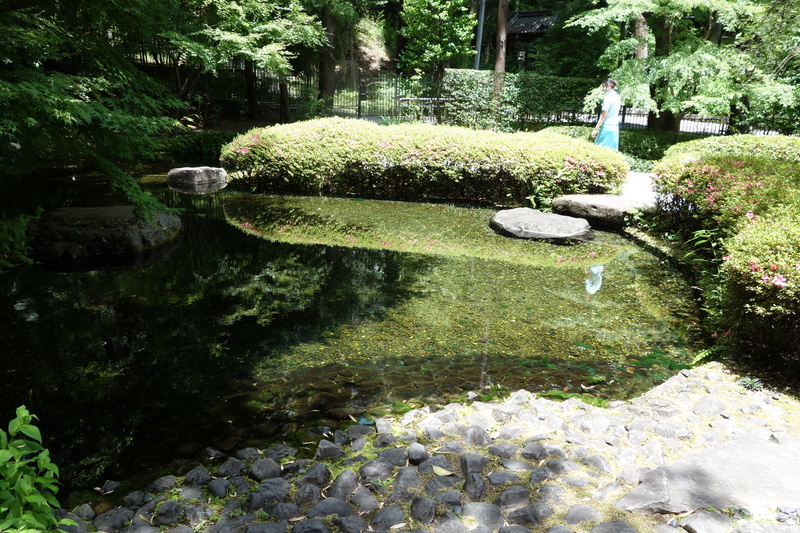 The pristine waters outside Kyoto, which we all drink when we toast a Yamazaki. 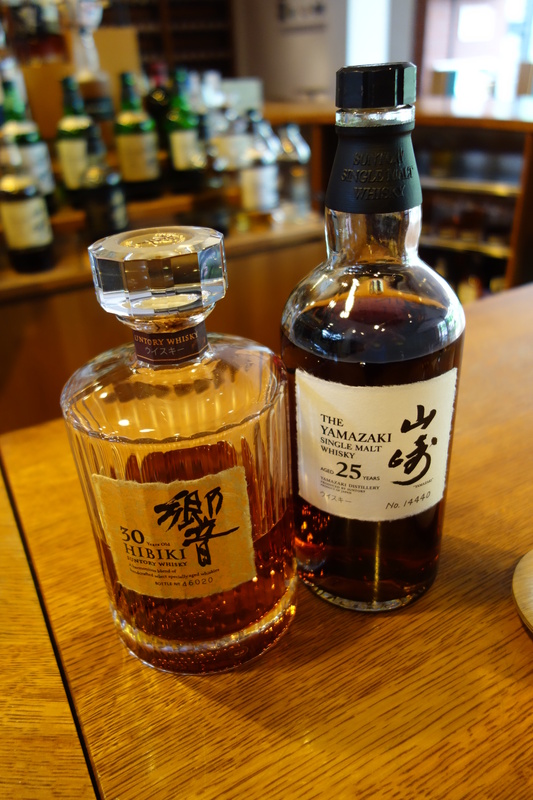 Yamazaki 25年: The Yamazaki series takes its best probably at its 12-17 year mark, and rapidly declines through bitterness after that. The Yamazaki 25 I had was over-oaked (spending too much time in the oak casket). 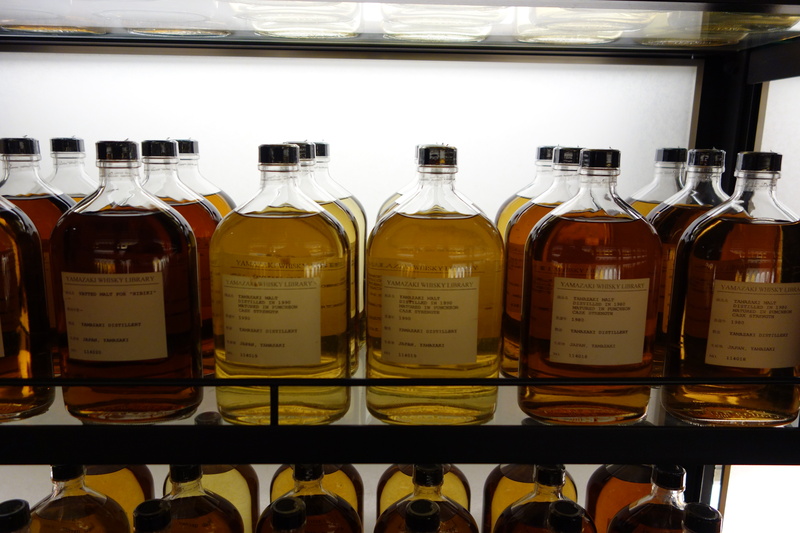 This is a common complaint about old whiskies, which is probably why we haven’t heard any sterling reviews of the gimmicky Mortlach 70 years old, the oldest whisky in the world released in 2008, designed for completionist tycoons and showroom display cases. 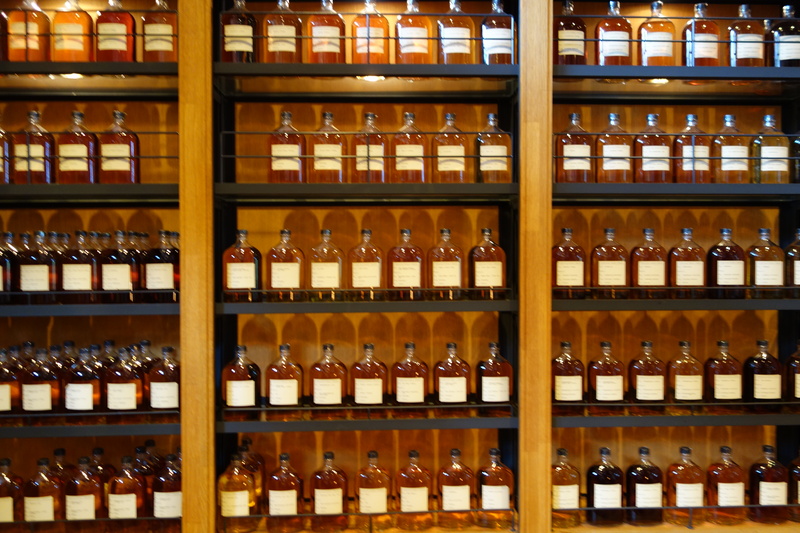 It is a conundrum: on the one hand, do you want to keep the smooth caramel that comes with the oak? How do you balance that with the inevitable seep of tannins into your whisky? 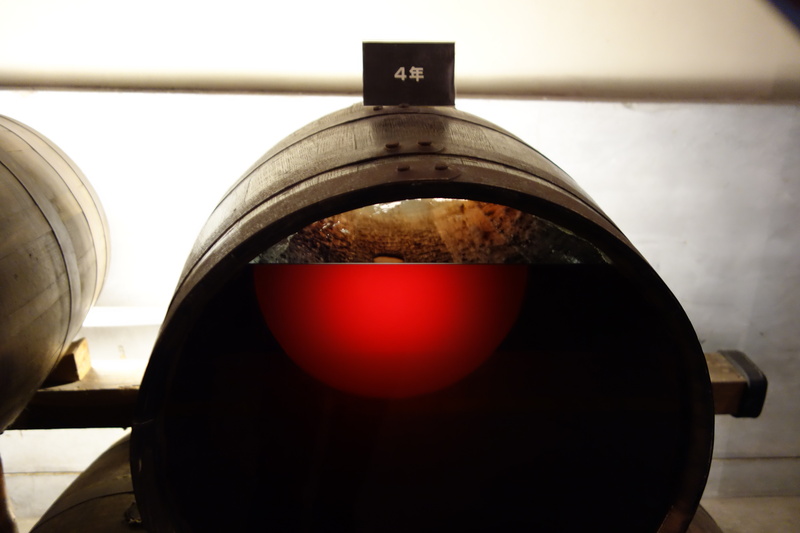 Your tolerance for tannins may vary, but I see the Yamazaki 25 as stuck in the no man’s land between taste and tannins. 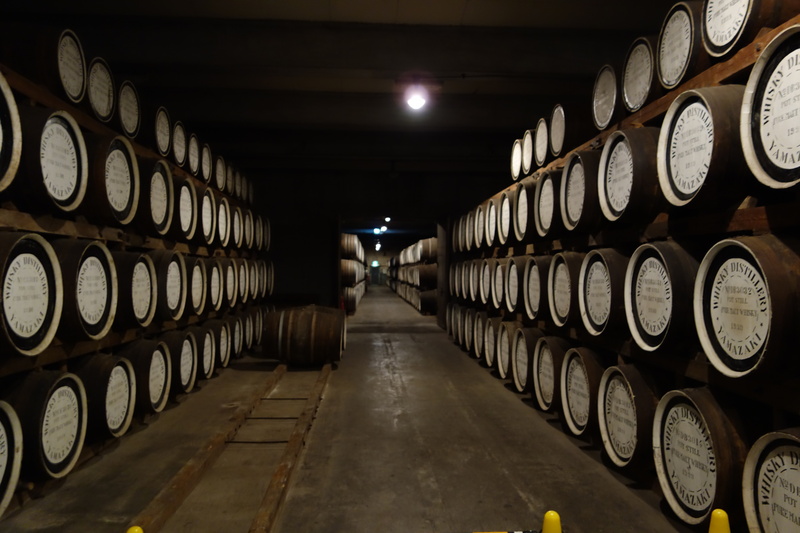 I have heard that the oak breaks down after a few years, so I would be curious to try a Yamazaki 35 or 40. But for now, if I had to choose a Yamazaki, I would go with the younger ones. Hibiki 30年: The Hibiki 30 is truly the best blended whisky I have ever tasted. This was intensely fruity in a way that surprised me, being more used to the floral notes of the Hibiki 12 and 21. It was as if the flowers in the younger Hibikis had finally bloomed by the 30 year mark. First taste: A great concentrated front nose of raisin. Mid taste: Strong orange and fruit. 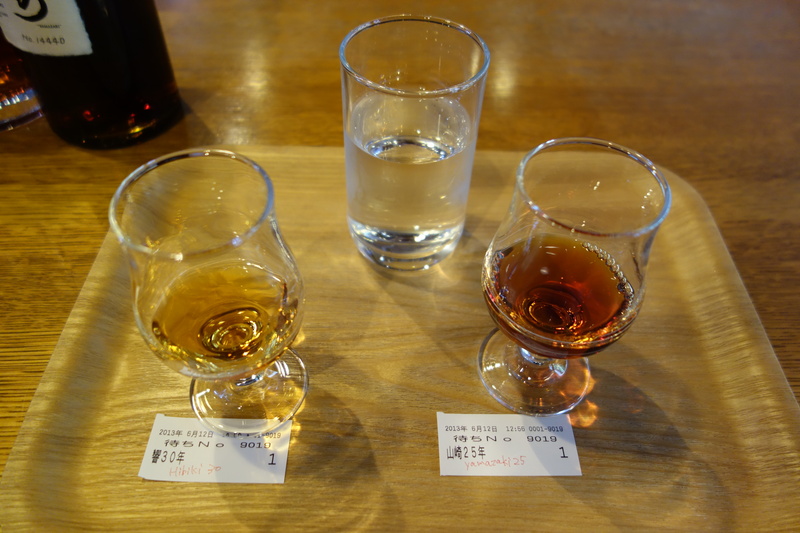 To me, this trip to Yamazaki was special, as many of my great whisky memories have involved the Hibiki. I discover the Hibiki 12 at Jazz@Southbridge in Singapore 2009, with a highly interesting fellow. 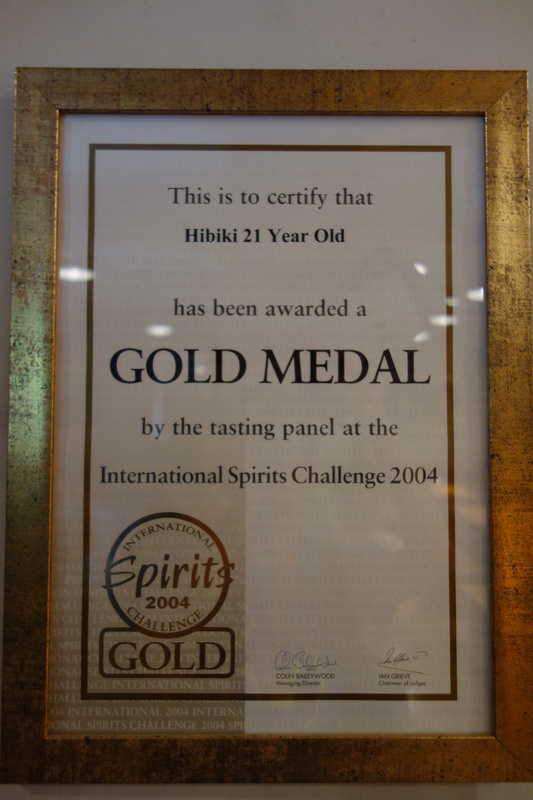 I rediscover the Hibiki 12 in Providence 2011, sitting dusty behind the counter of a small shop Spiritus Fermenti. I take a week’s tour in Scotland’s major whisky producing regions, to explore the range of Scotch whisky. I taste incredible single malts, but none of the blends were as drinkable as the Hibiki. 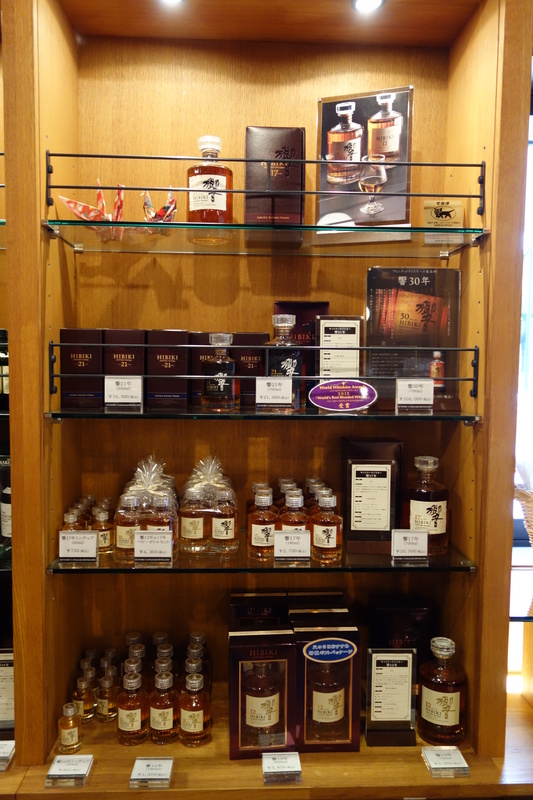 I get the Hibiki 21 in Singapore (2012) and it becomes my travelling companion in the Northeast US. Hey, I was wondering if you remember what bottles were available to buy after the tour? 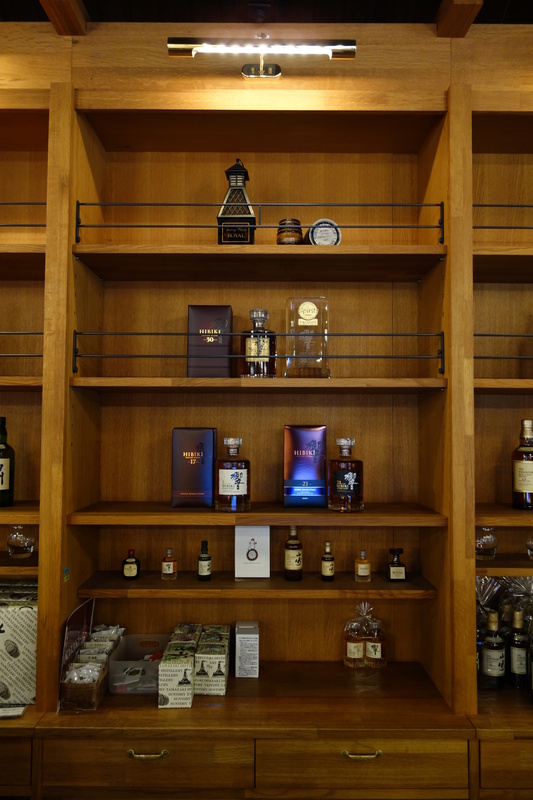 I’ve heard the selection is quite limited (especially compared to what is available to taste) which is a huge shame, but I’m hoping i’ll still be able to pick up at least a bottle or two of aged whisky! Hi James, almost all bottles were available, including the 30. But this was 4 years ago now, and since Japanese whisky has exploded in popularity since then, I doubt the selection is the same! Ashino in Singapore (Feb '16): "compelling fish, flawed sushi"
Kawamura in Tokyo (Nov '15): "where your food fantasies come true"
Katong Sin Chew Cake Shop | Singapore | Aug '13 | "old-fashioned bakery"
Subscribe to Kenneth Tiong eats!